Interview with Angelo 13 from Clone Me a Lover! Welcome to a hidden page on my website. 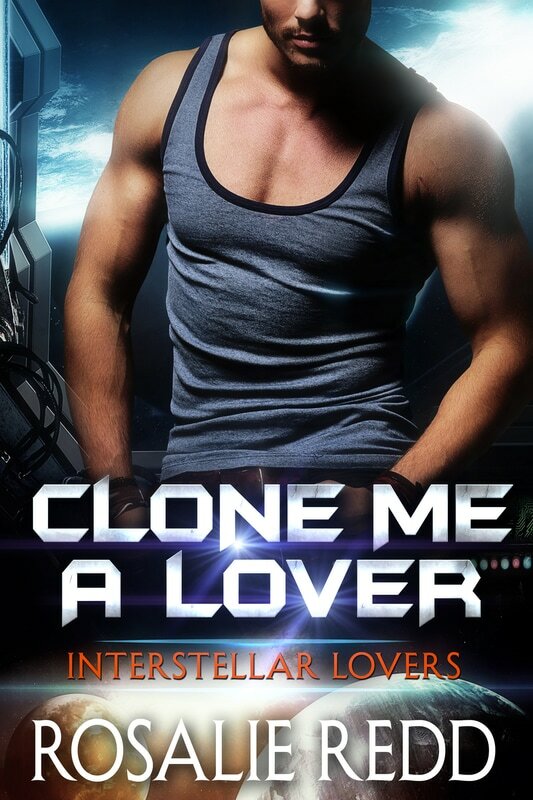 This page is just for you, my newsletter friends and contains an exclusive interview with Angelo 13, the hero from Clone Me a Lover. Ready to get into the details? Yes? Perfect, let's go. Angelo Thirteen sits in his pilot’s chair and swivels to face me. Metal grinds against metal, and a loud squeak pierces my eardrum. I try not to flinch, but I’m certain my eye twitched. I peer at him. His short, dark hair gleams in the unnatural light that permeates the small cockpit, and a few strands curl around his ear. With his thick stubble and plump lips, he’s a dream to behold. He studies me with his deep brown eyes, and my attention dips to the number thirteen tattooed under his right eye. “Iridis. I’m transporting a bunch of terraformers and supplies there. Once we arrive, I’ll become the maintenance technician.” A spark flicks through his eyes, but his expression never changes. I hope you enjoyed meeting Angelo 13. He wishes everyone back on Earth much happiness and love!